It’s no secret the 49ers have a plethora of talent in their receiving corps this season. But with great depth comes the unpleasant task of having to cut skilled players to trim their Week 1 roster to 53 players. 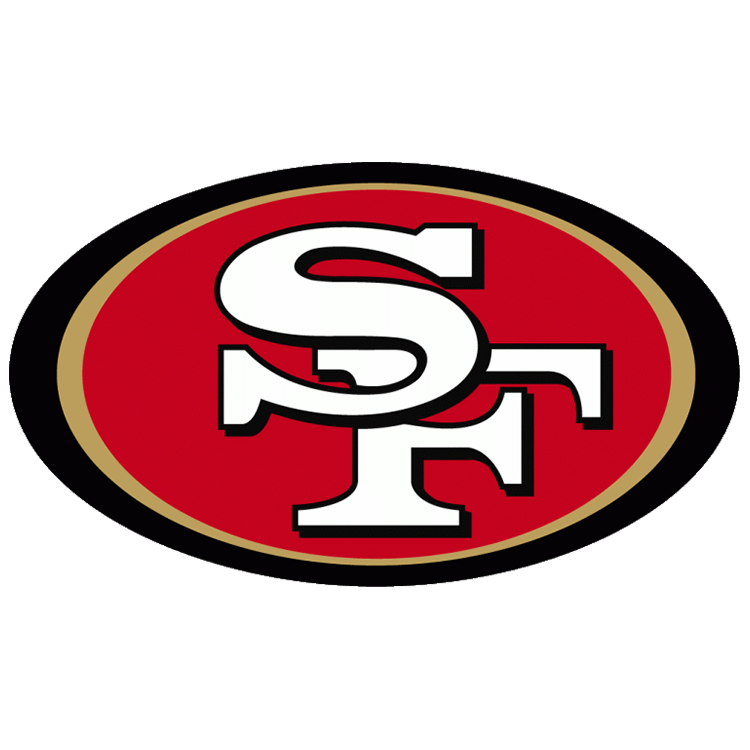 Rookie wideout Richie James Jr. is making that process even harder for San Francisco’s coaching staff as the Middle Tennessee State product had another strong outing in the 49ers’ 23-21 loss to the Los Angeles Chargers Thursday night. James has been one of the 49ers best rookies so far this preseason. Playing in all three exhibition games leading up to Thursday, James had caught eight passes for 112 yards and one touchdown to lead all San Francisco pass catchers. Continuing that trend of production, James played like a No. 1 option Thursday as he hauled in six catches for 71 yards. The majority of James’ production came over the middle, as the 5-foot-9 pass catcher lined up in the slot more often than not. With 4.4-second 40-yard-dash speed, James was also able to make moves and gain yardage after making the catch. This was most evident in the screen game, which Shanahan has used in several instances this preseason, including Thursday. But James’ value didn’t only come in the passing game, as he was able to show his versatility on punt returns as well. 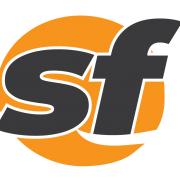 Taking a punt near the 50-yard line in the fourth quarter, James dashed 23 yards to set up San Francisco’s offense at the Los Angeles 30-yard line. In three plays, which included one of James’ six receptions, the 49ers found the end zone. Netting 94 all-purpose yards on the night, James now makes the 49ers inevitable task of cutting players that much harder. With the sheer depth the 49ers have within their receiving group, James may have made himself one of the harder players to get rid of. 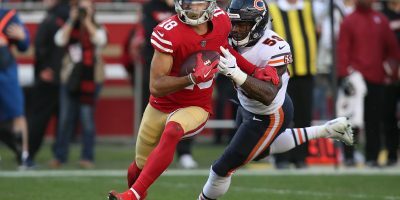 So far, the sure-fire locks to make the roster at receiver are as follows: Pierre Garçon, Marquise Goodwin, Dante Pettis (R) and Trent Taylor. With two projected roster spots up for grabs at wideout, James should be granted one of those slots. 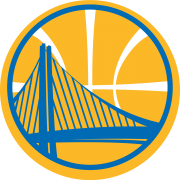 Not to mention, as a seventh-round draft pick, San Francisco will be paying pennies on the dollar for James’ services if they choose to keep him. Regardless of how things shake out, James has certainly done enough this preseason to land a roster spot. On which team, however, has yet to be decided. 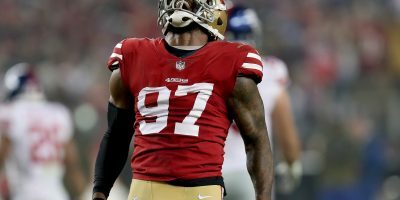 The 49ers defensive line played extremely well as they showcased their depth, specifically on the interior. 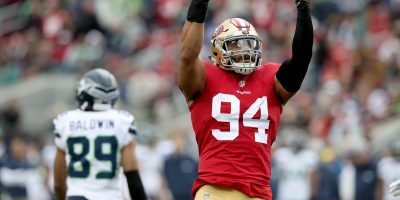 Second-year defensive lineman Solomon Thomas made his return after being sidelined over the past two weeks with a concussion and registered two tackles for loss (TFL) and one quarterback pressure in the first defensive series of the night. Ronald Blair III led the team in tackles (5) and registered one of the 49ers three sacks on the night. 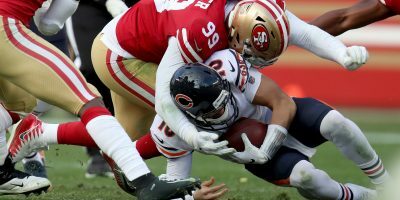 Compared to Saturday’s loss to the Indianapolis Colts, the 49ers pass rush looked vastly improved as they tripled their sack total from a week ago. 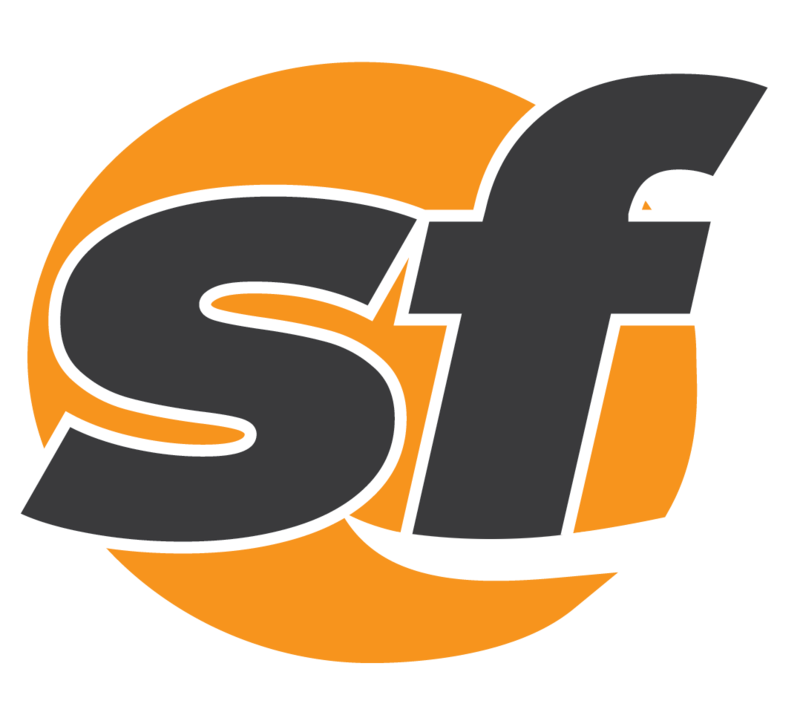 Although many of the opposing offensive linemen were that of second and third-string caliber, it’s still a good sign that San Francisco defenders were able to get to the quarterback and create pressure. Joshua Garnett played well at right guard after being reinserted into the competition for starting job in Week 1. 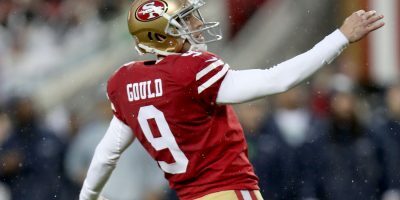 Shanahan announced Sunday that Garnett was once again a starting RG candidate after missing the first two weeks of the preseason with a knee contusion. On his first play of Thursday night’s game, he sent a Chargers defensive lineman to his back side, setting the tone for a solid evening in the trenches. 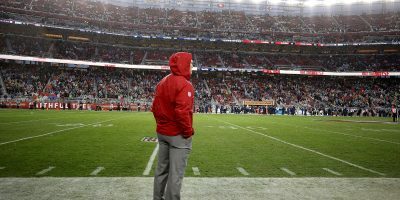 Although Shanahan did take notice of his productivity, the second-year head coach still sees eight-year veteran Mike Person and the tentative starter.